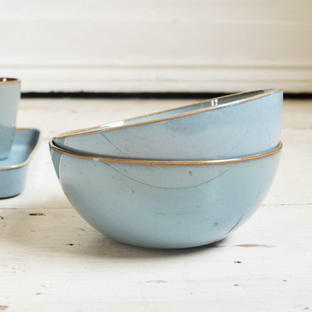 Created by the ceramist Anita Le Grelle, who was born and raised in Antwerp, these gorgeous glazed cups and dipping bowls show how a functional item can also be a thing of beauty. 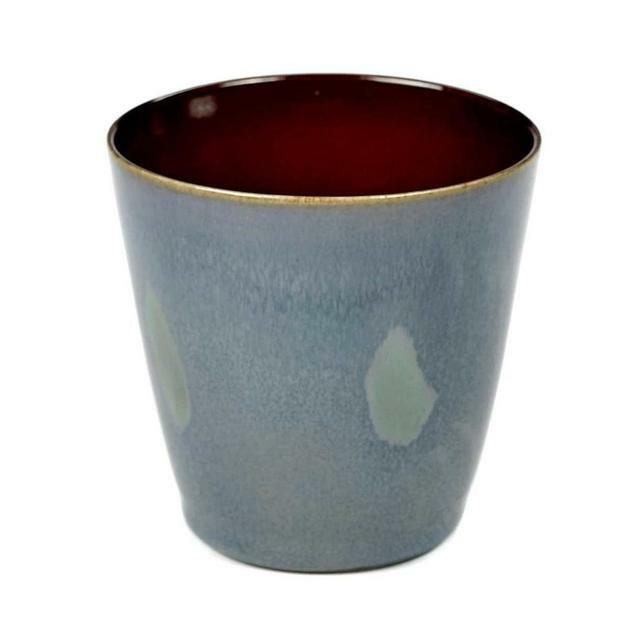 Reminiscent of a Japanese Sake Cup, with no handles so perfect for keeping your hands warm, wrapped around a warm, cosy drink. Try Mulled Wine or delicious hot chocolate. In a smokey blue glaze on the outside, and a deep burnt red on the inside. 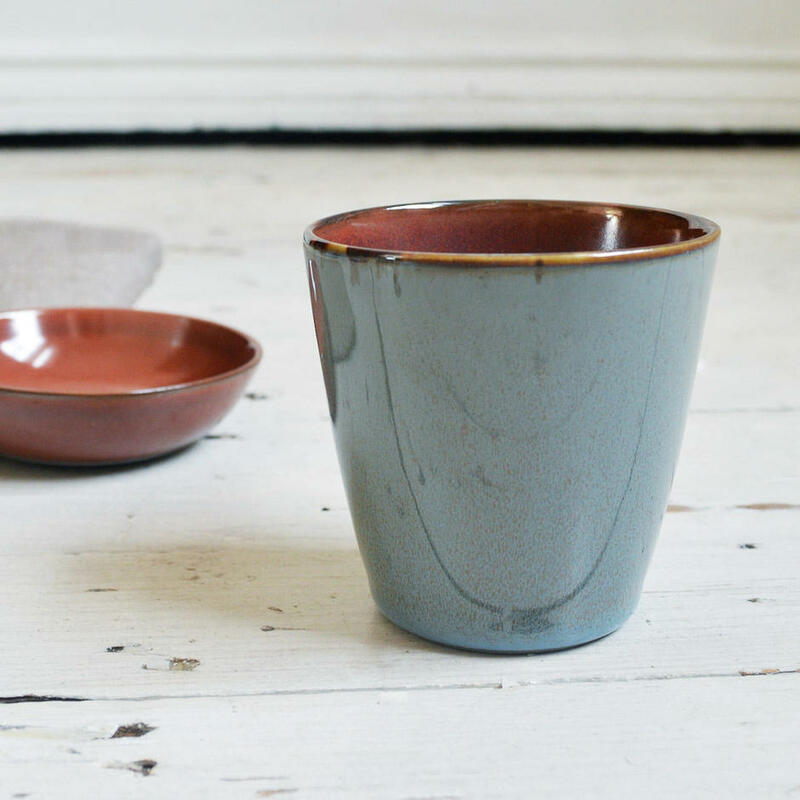 The beaker is also perfect to hold nibbles or canapés, and is the perfect accompaniment to the terre de reves serving tray and terre de reves dipping bowls. 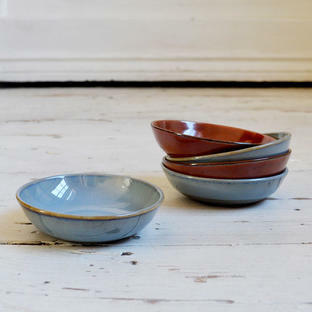 Small olive bowls are also available in the collection. 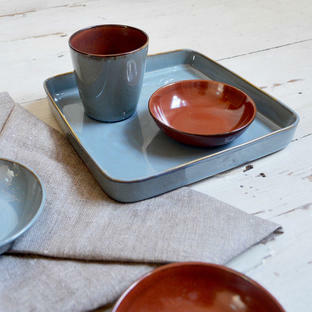 A beautiful piece of tableware, whatever your chosen dish. Smokey Blue glaze to the outside, and Burnt Red glaze inside the cup. This cup does not have a handle.